That was a question asked many times while I was attending last weeks’ Metamorphosis conference hosted by Pervasive Software in Redwood City, CA. There is this huge push towards the cloud; and don’t get me wrong, there are tremendous benefits to go in this direction. However, if you’ve implemented numerous systems throughout your organization and haven’t yet addressed your integration needs, it might feel like your data is buried underground! If you are in this boat, it is never too early to assess your integration needs. There are solutions out there—some of which we use in our own business at MCFTech. We have implemented an integration between our custom built CRM and QuickBooks. Having one version of the truth between both of these systems has drastically increased efficiency and top level visibility. Two different users can independently do their job and be confident that they are looking at the correct data in real-time, it’s truly a beautiful sight. That brings up an interesting point about ROI regarding data integration. With the current tools available integrations can be deployed quickly, securely (inside and outside the firewall), and for a relatively low cost. This could ultimately be one of the easiest ways to realize ROI in your IT budget. Not only can a dollar based ROI be realized quickly, time and efficiency can as well. Imagine no more nightly data dumps and manual uploads, you can put your IT resources in a better position to serve the needs of business users, not the needs of the software. So what does data integration mean to me? As an end-user, I should have no regard for what my company’s software and underlying infrastructure is. I just want to sit down and do my job, see the right data, and make informed decisions. I should never have to submit an IT request to get data I need, or hold a printed report up to my screen for comparison (Oh, I’ve seen this). I should always have the confidence that I am looking at good data, the same good data everyone else in my organization sees. At the end of the day—I don’t care what those crazy IT guys in the basement are up to; I want to do my job, I want it to just work. 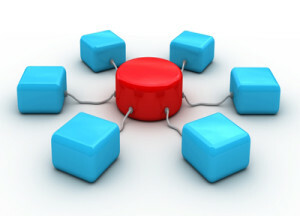 MCF Technology Solutions is seasoned in many integration scenarios. Contact us today at (440) 201-6050 or complete the Contact form for more details.